The Defense Intelligence Agency (DIA) was established in 1961 to integrate the military intelligence efforts of the Department of Defense. Until that time, each of the military services managed their own intelligence collection, analysis and findings. 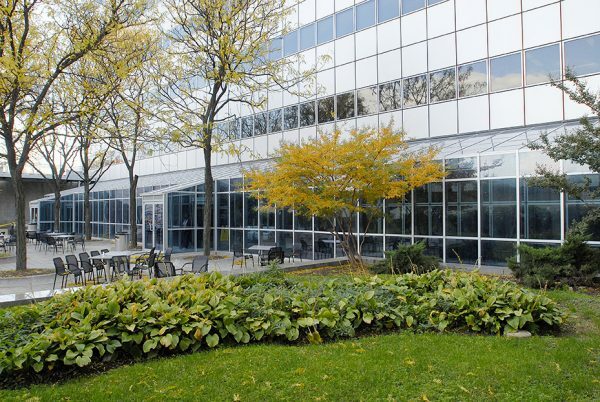 The DIA was formed by President Kennedy, Deputy Secretary of Defense Roswell Gilpatric, Secretary of Defense Robert McNamara to get rid of the redundancy between the military branches and make operations more efficient. In 1983 a new facility was completed on Bolling AFB to accommodate the entire agency, which had been scattered in various buildings since it was first formed. 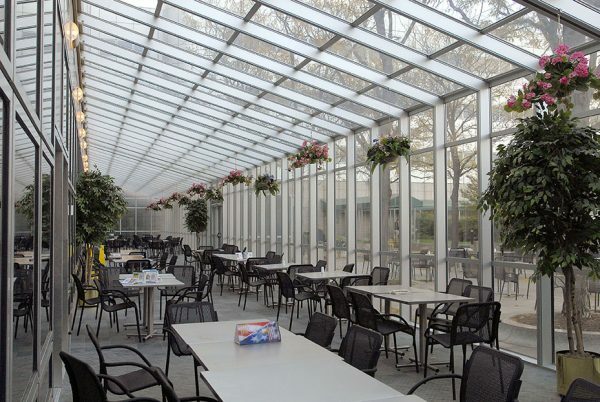 In 2007, Crystal Structures was contacted to update the facility by adding a solarium for the cafeteria and break areas. 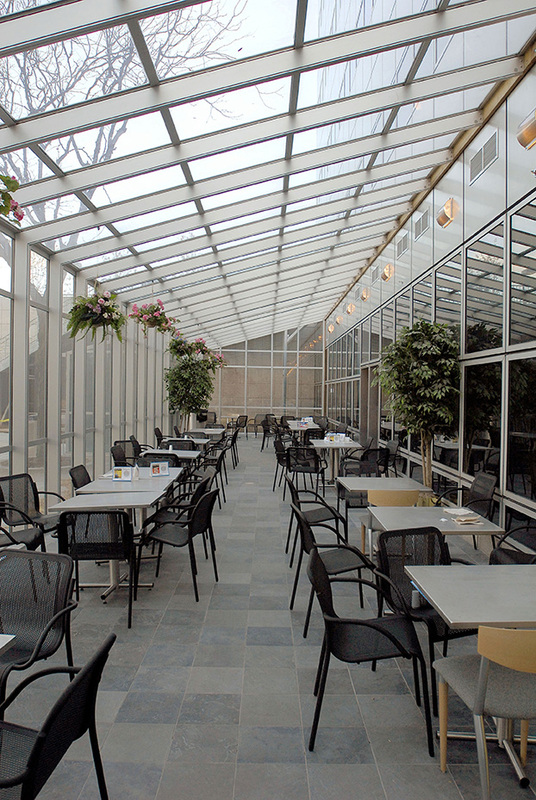 The new solarium is 23′ by 144′ and stretches more than half the length of the building. The solarium features built in accessory tracks along the windows, allowing hanging plants to be easily moved up and down the track for best lighting and care (See photo #2 below). 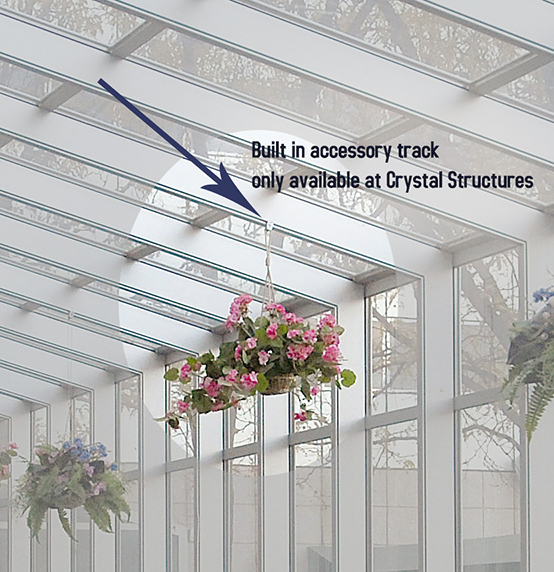 The built in accessory tracks are only available with glazed projects by Crystal Structures.